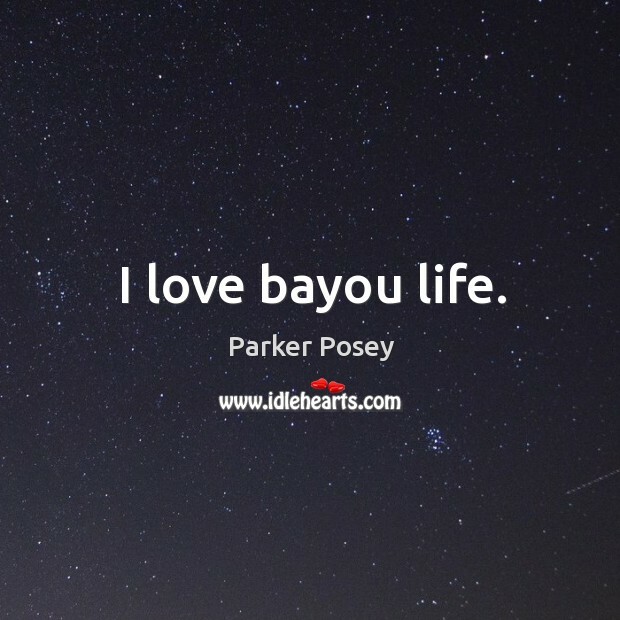 Quotations about Bayou. Quotes to stimulate mind and drive action! Use the words and quote images to feed your brain inspiring things daily! And each one of them has a redemptive message. 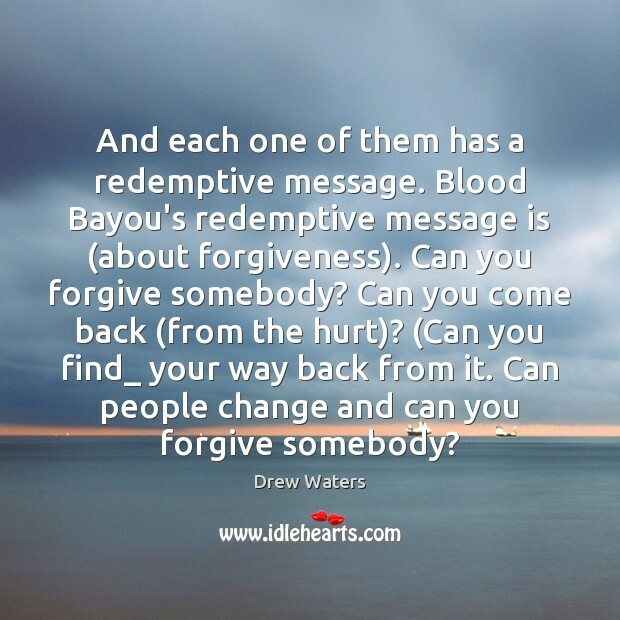 Blood Bayou's redemptive message is (about forgiveness). Can you forgive somebody? Can you come back (from the hurt)? (Can you find_ your way back from it. Can people change and can you forgive somebody? 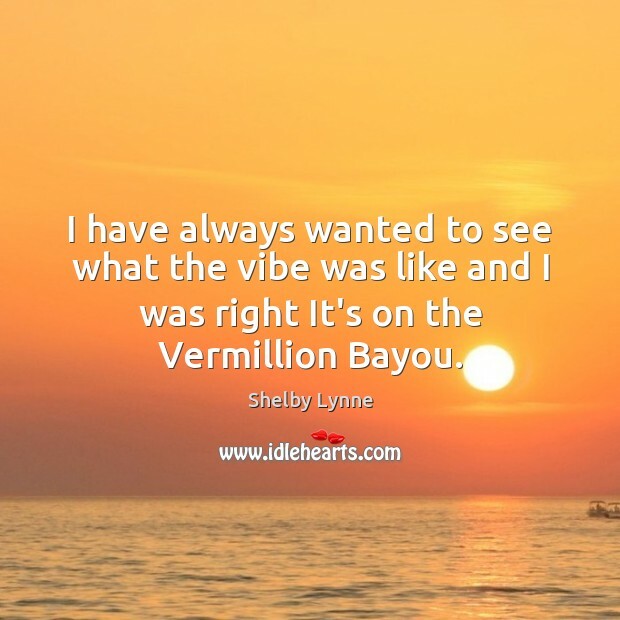 I have always wanted to see what the vibe was like and I was right It's on the Vermillion Bayou. 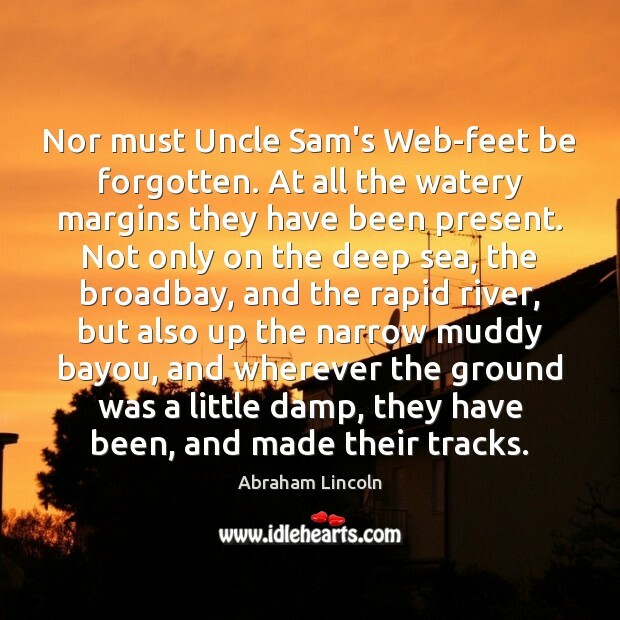 Nor must Uncle Sam's Web-feet be forgotten. At all the watery margins they have been present. Not only on the deep sea, the broadbay, and the rapid river, but also up the narrow muddy bayou, and wherever the ground was a little damp, they have been, and made their tracks. Very little makes me feel vulnerable these days. 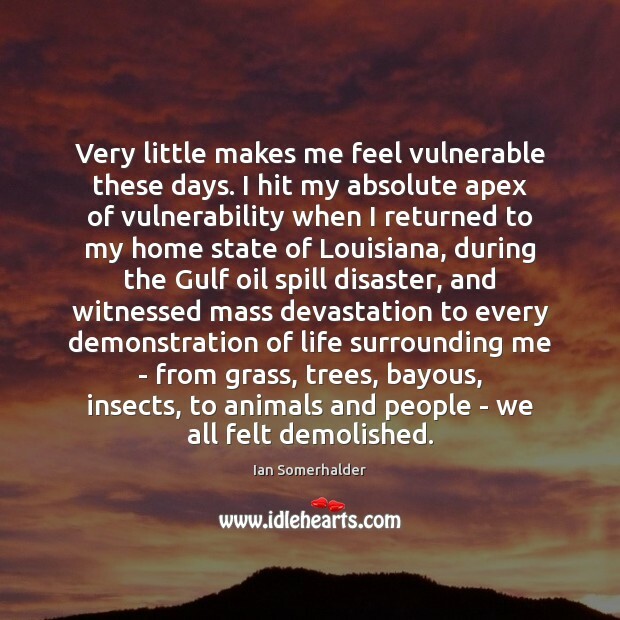 I hit my absolute apex of vulnerability when I returned to my home state of Louisiana, during the Gulf oil spill disaster, and witnessed mass devastation to every demonstration of life surrounding me - from grass, trees, bayous, insects, to animals and people - we all felt demolished. 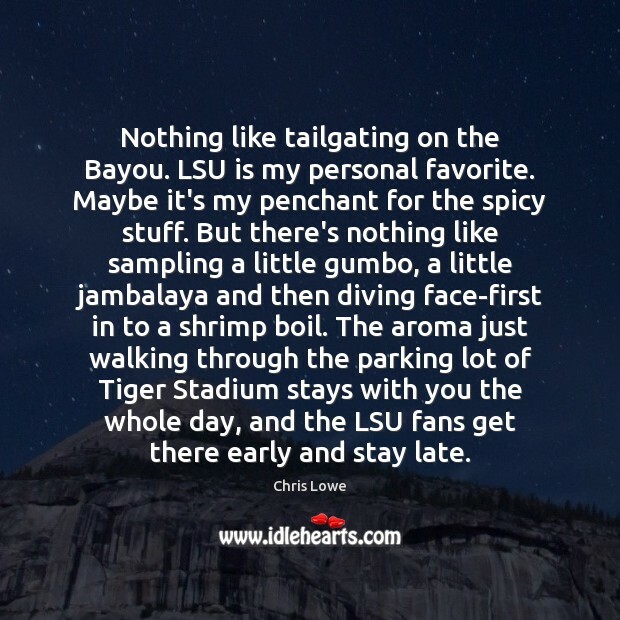 Nothing like tailgating on the Bayou. LSU is my personal favorite. Maybe it's my penchant for the spicy stuff. 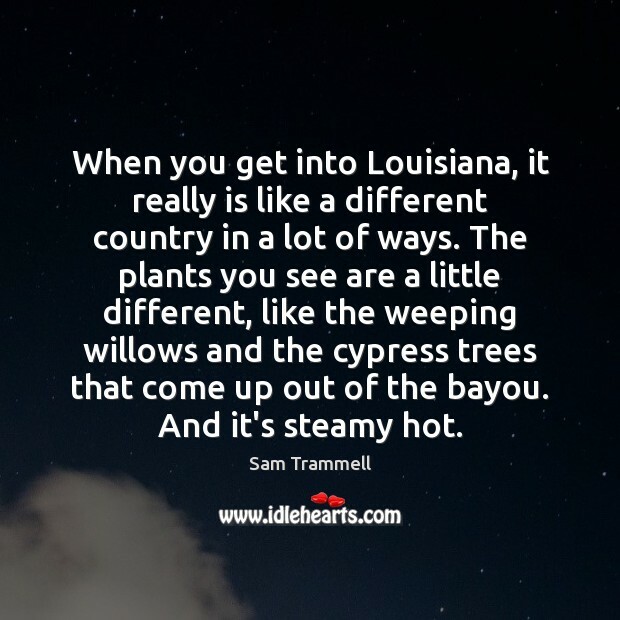 But there's nothing like sampling a little gumbo, a little jambalaya and then diving face-first in to a shrimp boil. The aroma just walking through the parking lot of Tiger Stadium stays with you the whole day, and the LSU fans get there early and stay late. 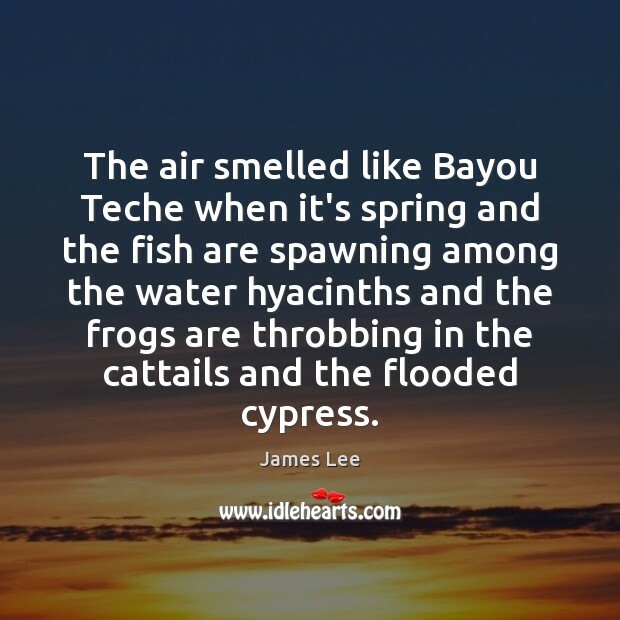 The air smelled like Bayou Teche when it's spring and the fish are spawning among the water hyacinths and the frogs are throbbing in the cattails and the flooded cypress. 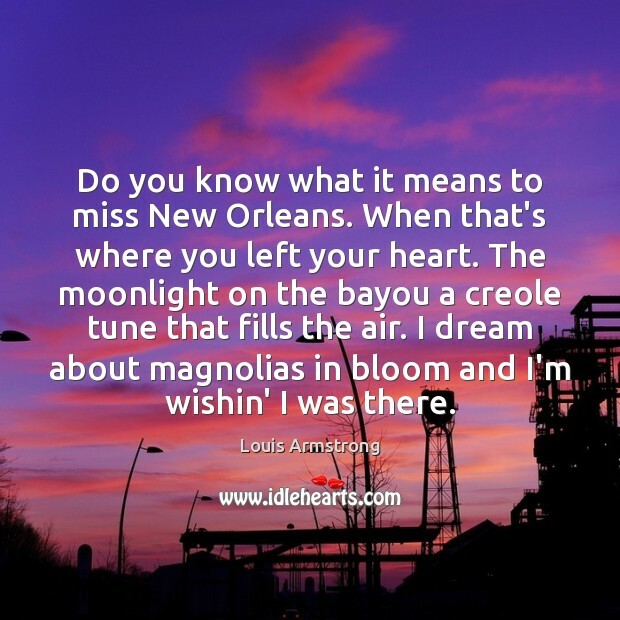 Do you know what it means to miss New Orleans. When that's where you left your heart. 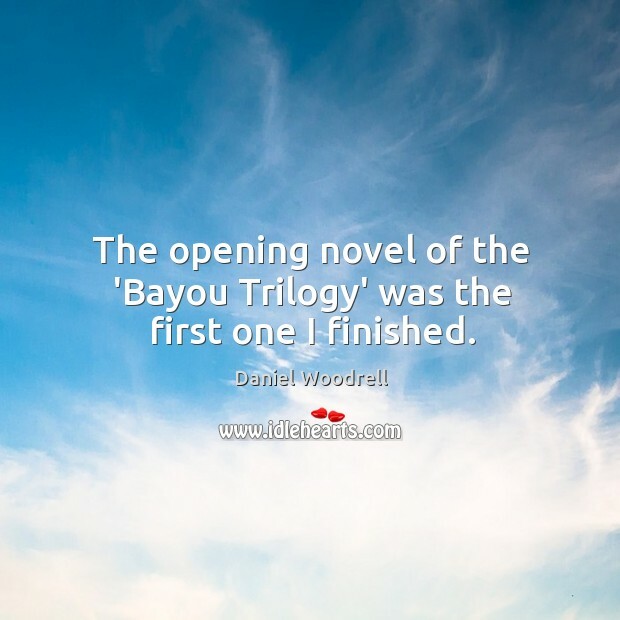 The moonlight on the bayou a creole tune that fills the air. I dream about magnolias in bloom and I'm wishin' I was there. 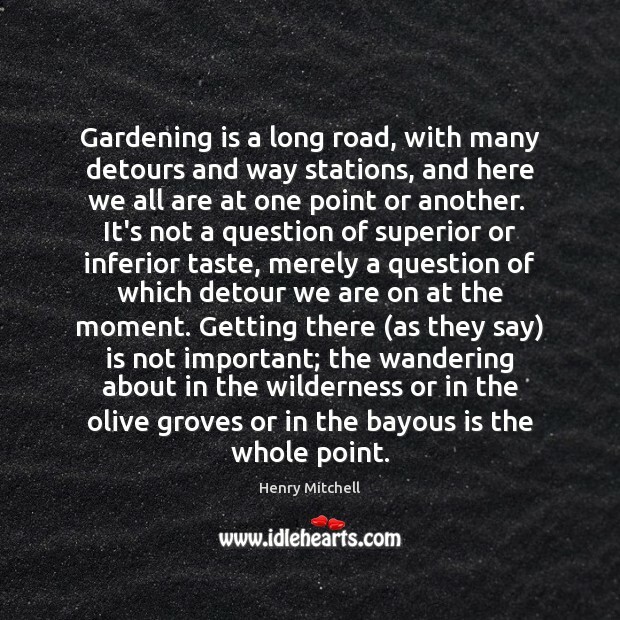 Gardening is a long road, with many detours and way stations, and here we all are at one point or another. It's not a question of superior or inferior taste, merely a question of which detour we are on at the moment. Getting there (as they say) is not important; the wandering about in the wilderness or in the olive groves or in the bayous is the whole point. We have a slate of four films. 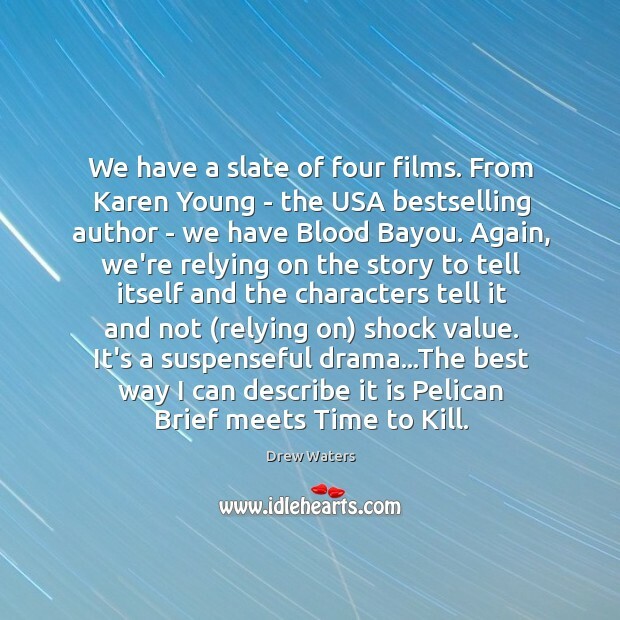 From Karen Young - the USA bestselling author - we have Blood Bayou. Again, we're relying on the story to tell itself and the characters tell it and not (relying on) shock value. It's a suspenseful drama...The best way I can describe it is Pelican Brief meets Time to Kill.